Add body and texture to fine, lifeless hair with Redken's Beach Envy Volume Wave Aid, a leave-in volumising treatment spray that creates texture and fullness. Infused with a texture-boosting mineral blend, the salt-free styling treatment expertly enhances volume and body, creating bouncey, beachy waves. Hair is bouncy and revitalised. Spray through damp hair and scrunch in. Air dry or for optimal results, diffuse for natural movement. 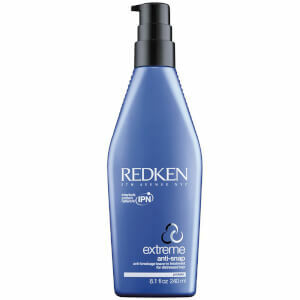 Use with a curling iron for enhanced waves.